Several of us from the D4L program are on our way to Orlando, Florida for the annual conference of the American Library Association (ALA). 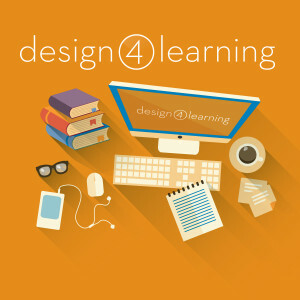 We’ll be presenting about the program at a “Conversation Starter” session on Saturday morning from 10:30-11:15 am, titled “Teaching Online About How to Teach Online: The Design for Learning Program.” You can read our abstract for the talk at http://connect.ala.org/node/252014. If you’re coming to the conference we hope you’ll attend! Even if you can’t make it to that session, you can also find us presenting a poster at the Diversity and Outreach Fair later in the afternoon, from 3-5pm, in the Special Events area of the Exhibit Hall (http://www.eventscribe.com/2016/ala-annual/fsPopup.asp?Mode=presInfo&PresentationID=143359). available to the public in 2017! Also, if you’re a participant in the program, find Arden Kirkland to get a D4L sticker for your badge! If you’re not attending ALA, stay tuned – we’ll report back afterwards and share our handouts and slides. Arden Kirkland is an independent digital librarian, providing consulting services for digital collections and online learning. Her years of work in higher education have included a focus on students’ active participation in the construction of multimedia digital collections. Other recent projects include ArtOneida.org, HistoricDress.org, and work on the Capability Maturity Model for Research Data Management. Find out more about her work at ardenkirkland.com. Tagged ALA, conferences, poster, presentation.